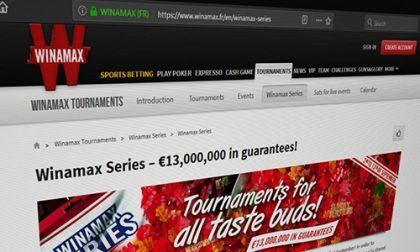 A rough late-summer run of events for French online-poker powerhouse Winamax continues with the news that a player complaint over likely “bot” (automated player software) activity in the site’s popular “Espresso” heads-up tables has now resulted in a formal lawsuit against the site, brought by 16 participants in the games who believe they were cheated in various forms by the alleged bot-using accounts. The reasons for the lawsuit are the opacity of the Winamax’s internal investigation and the assertion that the monetary settlements already offered to a couple of victims of the bot accounts are allegedly magnitudes of size too small, given the known profits of the likely bot accounts involved. This one could turn a bit messy for the French giant, with the litigants filing as a protected class and seeking to involve both French gaming regulator ARJEL and France’s DGCCRF, the Directorate-General for Competition, Consumer Affairs and Fraud Control. Damages sought remain to determined, in part depending on how successful the litigants are in prying open Winamax’s investigative records of the probable bot activity. The initial accusations against Winamax and the bot accounts were made public by Winamax player Maxine “BatMax” Lamaitre in early June. 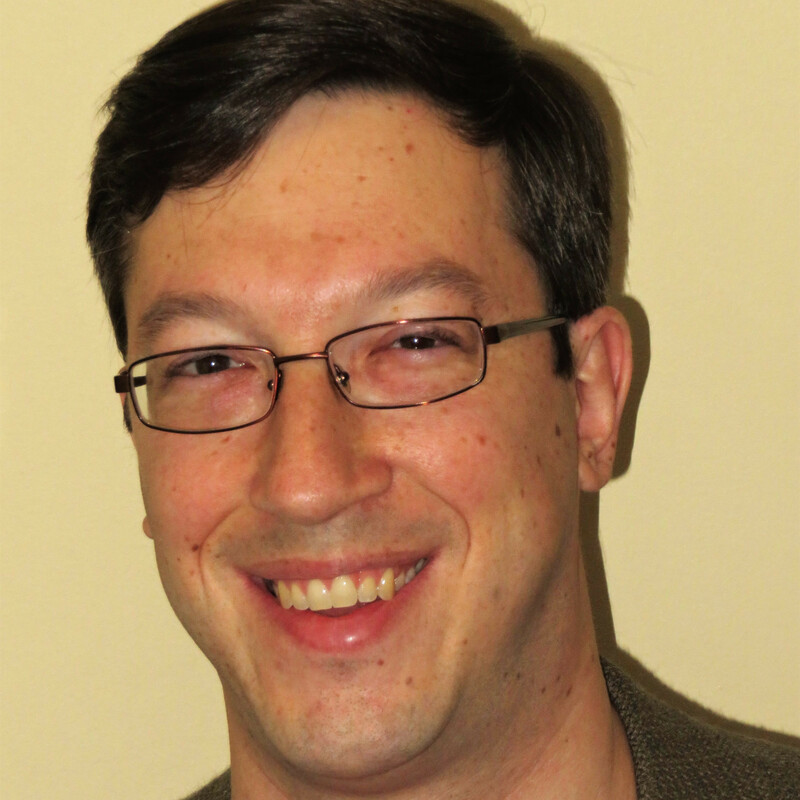 Lamaitre, a regular in the high-stakes Espresso games, published significant evidence on French poker forum Club Poker that something was amiss with several accounts. It appeared early on that Winamax was doing the right thing; it first suspended and seized the account balances from the two major botting accounts, then banned one of the two account’s owners permanently from the site. Winamax should then have embarked on some sort of project to refund the cheated players, and that’s where the story resumes. According to French class-action attorney who ended up accepting the players’ case, the amount of compensation offered to Lamaitre and another of the known victims was far, far less than what should have been refunded. 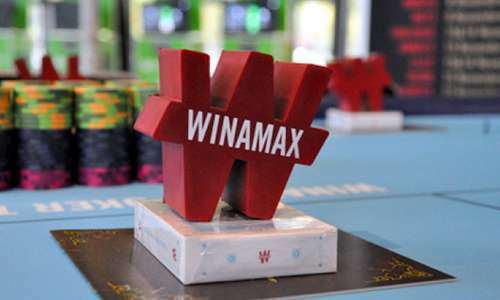 One possible explanation for the alleged significant shortage is that Winamax may have limited the total to be refunded to victims to the amount seized from the two botters’ accounts, regardless of how much those two cheaters might have withdrawn in the process. And that’s why the lawsuit demands that Winamax provide transparency and accountability. Lamaitre and some of the other aggrieved Winamax players succeeded in finding an attorney who would represent them, providing the players would pay 360 euros each as compensation, plus 10% of any additional settlement they received. The attorney representing the players is Master Justine Orier of France’s consumer-litigation firm V for Verdict (vpourverdict.com). The firm needed three players to commit to paying the 360 euros each, and that turned out to be no problem. After an information hearing conducted by V for Verdict and Orier on August 29, the firm already had six players signed up, each alleging damages of between 10,000 and 50,000 euros. The sign-up period for the lawsuit officially ended on September 28, but more and more potential victims are being added. The top-level information page on the lawsuit now claims 22 participants. The two likely cheating accounts, “TwoPandas” and “VictoriaMo / mr.GR33N13, were known to have profited nearly 700,000 euros over the period the cheating is alleged to have occurred. Other suspected bot accounts in the Espresso games, if confirmed, could push that total of illicit winnings even higher. 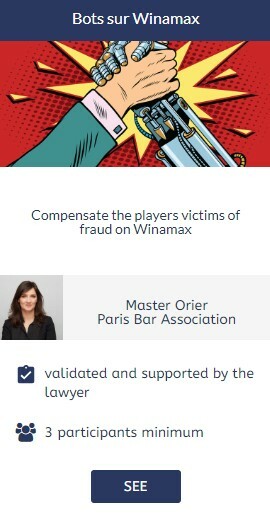 One of the elements allowing the action against Winamax to gather steam was the ability of both Lamaitre and V for Verdict’ Orier to get some mainstream coverage for the pending case. The first big French feature on the story was published at Liberation on September 17th, and another prominent feature appeared at Slate Magazine France on October 8. Both features honed in on the disparity between the profits claimed by the two cheating accounts and the paltry amounts offered by Winamax to the cheating victims, which included an offer to Lamaitre of 25 euros total for his participation against the probably bots for over 200 heads-up games with buy-ins of 250 euros each. – A client has been compensated for 1% of his buy-in for 200 games. – The player Batmax has been compensated for 25 euros for a number of parties probably greater than 200. – Even more wacky, according to Club Poker’s testimony: 300 euros in compensation for 34 games against TwoPandas , or nothing at all for 31 games against this same player with an average buy-in of 235 €. This opacity, like the ridiculous amount of compensation, can not be considered satisfactory. As stated above, Winamax is indebted for a legal obligation of transparency of gaming operations. To date, Winamax refuses to provide information on the session that took place during the VictoriaMo / mr.GR33N1 survey. There is however no legal justification that allows Winamax to decide partially and unilaterally the rules of the investigation and not to communicate on its content. Finally, the position adopted by Winamax remains disturbing: they claim that there is no fraud, return the sums won at VictoriaMo but maintain the suspension of his account. The legal action should make it possible to shed light on the checks carried out by Winamax since the latter will have to provide the judge, in the framework of a contradictory debate, the elements which allowed him to consider that VictoriaMo plays without assistance. It will also be necessary to assess the desirability and feasibility of appointing a legal expert who can analyze the results of VictoriaMo. Winamax has not issued a public comment on the situation excepting its earlier postings on the Club Poker forum following Lamaitre’s initial complaint and posting of data regarding the botting accounts. The situation is the latest in a recent streak of major headaches for the site, which also included the forced cancellation of live qualifiers into its Winamax Poker Tour as the end result of a legal complaint brought by an association of France’s live casinos. The site was also hit twice by the recent wave of DDoS attacks that has plagued online-gambling operators.